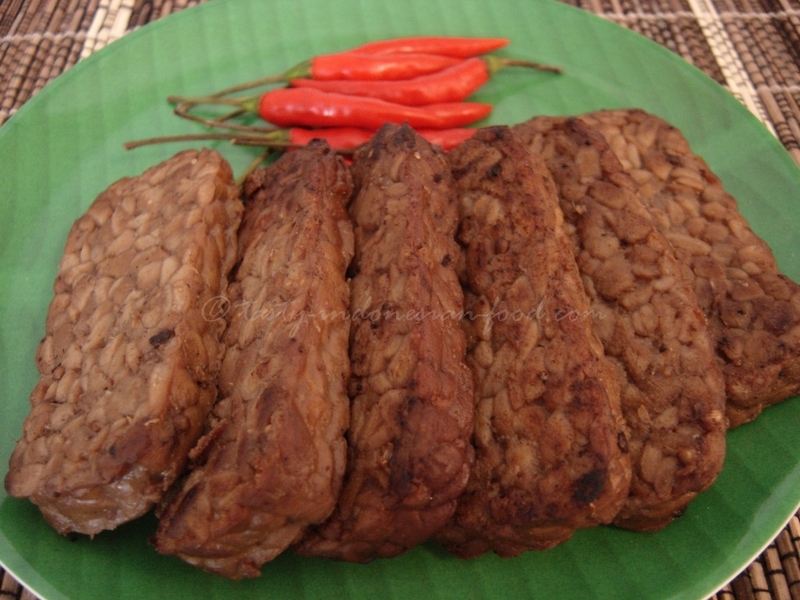 Tempe bacem is a traditional meal from Mataraman area, Central of Java. Actually bacem is a way to make the meal stay longer, in this case for tofu and tempe. They marinated them with spices then cook for sometime. Then you can store them in refrigerator and only fry them when you need it. Central Javanese meal is known with the sweetness in their taste. They like to add palm or brown sugar in their meal. 2. Boil the coconut milk/coconut water together with tempe, galangal, Salaam leafs, and spice paste. Add the water and continue cooking until the spices and water are absorbed. Then cool them off. 3. Heat up 50 ml oil into deep frying pan and fry the tofu both sides, but don’t do it too much (too dry/crunchy). 4. Serve with green bird’s eyes chillies.